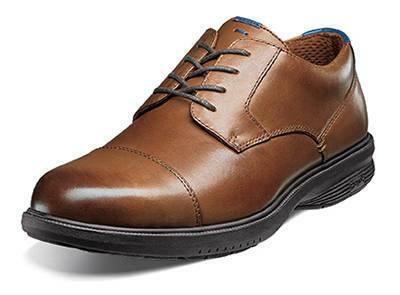 This is the Nunn Bush Men’s Melvin St. Cap Toe Oxford. The upper is hand burnished genuine leather for breathability and long lasting comfort. The fully padded nylon mesh linings provide exceptional moisture management and 360-degree padding for exceptional comfort.